Here are some party favors I did for a luncheon for several ladies about to have babies. Some were having boys some were girls. So we did both in Chocolate Flavored Sugar Cookies. 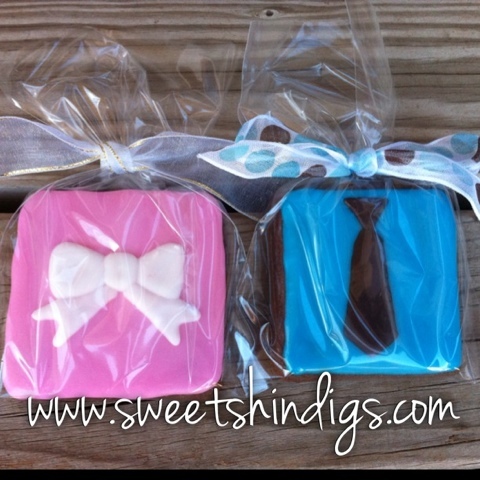 Get your cookies wrapped in a bag with a basic twist tie for $3 a dozen or wrapped with a ribbon for $6 a dozen.